When news broke out that 14-year-old Ahmed Mohammed got arrested for bringing a homemade clock to school, social media lit up in #Kony2012-sque proportions. Support for him has come thick and fast – as evidenced by the numerous #IStandWithAhmed hashtags – with messages of support streaming in from highly distinguished individuals and organisations; Mark Zuckerberg, Barack Obama, Hilary Clinton, Twitter, Microsoft and MIT to name a few. I’m not going to lie, I was one of those rooting for him, albeit silently. It does sound stupid after all, getting booked for a science project he’s passionate about. Besides, it’s never nice seeing a young kid in cuffs. However, after digging a little deeper and glossing over the case a few more times, I can safely say my attitude towards the incident has completely changed, and here’s why. Islamophobia is the word that this incident has been associated with the most. 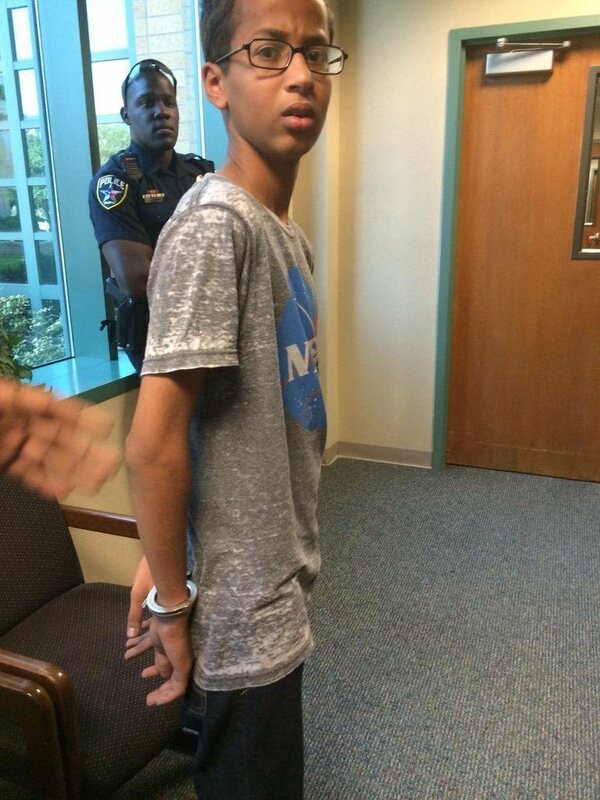 Cries of discrimination and unjust prejudice have been at an all-time high, with many claiming if Ahmed was a white boy, he wouldn’t be arrested for bringing in a homemade clock. Talk about ignorance, it’s as if no Muslims are white. Make no mistake, studies have shown that minority youths are at greater risk of mistreatment by schools. Black and Latino kids are disciplined more harshly and more frequently than white kids who commit the same offences. However, it seems all too convenient of a narrative to blame his arrest on his religion and his religion alone; officials identify a kid who is lugging around a suspicious-looking package, checks if he has an Islamic-sounding name, cries and deem him a terrorist, before the cops swoop in and gets him arrested. In February 2013, 17-year-old Cody Chitwood, an avid fisherman, got charged with a felony after police discovered he brought fishing supplies to school. A month later, Krystal Grayhorse was suspended from school for an entire year after she wrote about weed in her diary. In April 2014, after Ethan Chaplin twirls a pencil in class, the state of New Jersey threatens to take him from his dad and required blood and urine testing for him. Two months later, eight-year-old Asher Palmer got thrown out of school for playing with a toy gun… made out of paper. 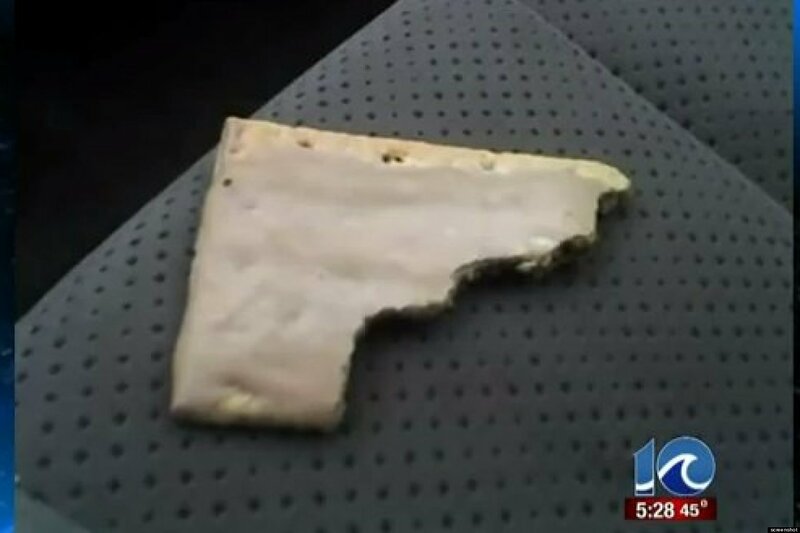 While all this is happening, a seven-year-old boy got suspended for chewing a pop-tart into a shape of a gun before making shooting gestures at other students. A pop-tart. Where was the outrage throughout all this? For those suggesting that Ahmed’s last name was the sole cause for his arrest, can I also suggest that his last name was the only reason for such a public outcry, and that itself reeks of immense hypocrisy? If there’s anything to blame here, it’s the zero-tolerance policies of schools, which have landed hundreds of unsuspecting kids in trouble. School violence is admittedly a huge problem facing the country, but the overzealous handling of innocent behaviors stemming from unjustified paranoia is not the way to go about solving things. Petty mistreatment should not outlaw, or at the very least, get in the way of one’s fundamental right to speak, write, and act upon their thoughts and ideas. Some are arguing that officials never thought Ahmed had a bomb in the first place – the school wasn’t evacuated, there was no bomb squad on the scene, and the alleged ‘bomb’ was placed in the teacher’s office – and that they simply wanted to humiliate him due to his religion. He was not accused of building a bomb, but rather, a hoax bomb. While that might very well be true, it simply supports the argument that the school’s zero-tolerance policies are at fault here. It’s too easy to blame it on Islamophobia, it really is, but as the examples above show, the fact that you’re not a Muslim doesn’t spare you from ridiculous treatment. People can’t accept the fact that a Muslim wasn’t discriminated against, because that’s the role they have created for Ahmed based on his ethnicity. He’s a Muslim, and therefore, he must have been discriminated. When they realise he’s not playing that role, they have a hard time digesting an alternative rationale. It’s absurd to suggest that you have to be Muslim, or brown-skinned, or live in Texas, to be subjected to overenthusiastic use of school discipline and police force. As such, the perception that white people are above the law and immune to punishment is a dangerous thought, and needless to say, completely false and biased. The zero-tolerance policies of schools are affecting everyone, and let’s not lose sight of the consequences and repercussions such policies will continue to bring if they are not addressed soon. While unlikely in my books, racism could have very well been a factor in his arrest, but we are making a huge mistake if we conclude that that is all there is to it; pure, raw racism at work. Just about a ‘homemade’ clock? It is ironic that people are commending Ahmed for his talent and lauding him as a genius, when corroborated evidence have suggested that his clock was not as genuine as people made it out to be. Many people are using the term “homemade clock” in their tweets of support like it’s some sort of mitigating factor to further sensationalise their stance. Thomas Brett Talbot, a research scientist at the Institute for Creative Technologies, University of Southern California, said in a YouTube video that his contraption was essentially “a commercial alarm clock as you would purchase in any department store and use at your bedside”. I see no evidence that this is any creation whatsoever or that there was any modification or even assembly of anything, to have made things out of a kit for example. This is simply taking a clock out of its case. Anthony DiPasquale, a webmaster for Artvoice.com who holds an engineering degree, is more blunt, saying that “Ahmed Mohamed didn’t invent his own alarm clock… he didn’t even build a clock” and backed up his claim in a now-viral blog post with great technical details. For those who have neither the time nor the patience, Anthony basically compared Ahmed’s clock to 1980s vintage electronics, gives us some contextual information, and damningly, even showed us where we could purchase the clock on eBay! 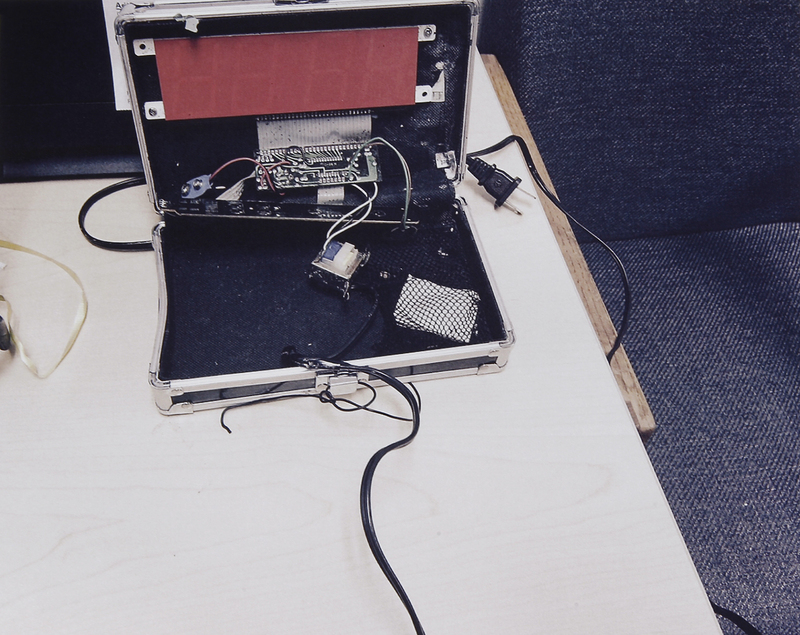 According to him, Ahmed’s clock was supposedly built by Micronta, a subsidiary of Radio Shack, “as indicated by the “M” logo on the clock’s circuit board”. The pencil box (widely misreported to be a suitcase) Ahmed used for his project is also alleged to have been purchased off Amazon. In his own words, “the dimensions (of the items bought) all line up perfectly”. If the kid were to “home make” or “invent” a clock, he would have used a breadboard, wherein one inserts integrated circuits, wires, and capacitors, resistors, etc., to form the logic of such a device. The choice to use a complete PCB (printed circuit board) that wasn’t even CAD-routed and the use of ribbon cables (something that only happens in production models, not prototypes) legitimately made me wonder about the authenticity of this “clock”. He also mentioned the following quote, which I feel really captures the ‘essence’ of this entire fiasco. The social media s***storm is so strong that one will start to doubt one’s own perceptions of this thing until someone bold enough starts shedding light on the truth. In short, it was simply not an invention, contrary to what he had claimed in an interview with The Dallas Morning News. I am often hesitant to discredit the deeds of others. As a content creator myself, it’s not a nice feeling when someone refuses to acknowledge your works. After all, it’s almost always easier to criticise someone than to actually do something yourself. Let’s give him the benefit of the doubt when he referred to his clock as an ‘invention’; I am pretty sure he misconstrued the definition and appropriate application of the word. Removing parts from an existing clock and reassembling it elsewhere do take some skill, or maybe not much, as shown in the video below where YouTuber “G O’LastName” created an identical version in 20 seconds. Perhaps Richard Dawkins, a famed biologist, puts it best when he questioned if we were indeed all “fooled”. Regardless, his undeniable appetite for science and exploration should rightfully be praised and encouraged – he did after all, fixed a computer and built a go-kart, according to The New York Times. He has definite potential, but it’s a pity his clock, in all objectivity, wasn’t what he and the masses made it out to be. How many times have you heard the phrase “if only we had paid more attention to the signs” after cases of school violence? People are saying that it was stupid how the teachers and police had reacted, but was the way they conducted themselves truly ridiculous? Utterly unprofessional? Morally disgraceful? A former soldier seem to agree, claiming that “having messed with improvised explosives while serving in Iraq… you never know what they’re going to look like. A quick examination of the clock would reveal that it was harmless, but you can’t say that there is nothing bomb-like about it”. 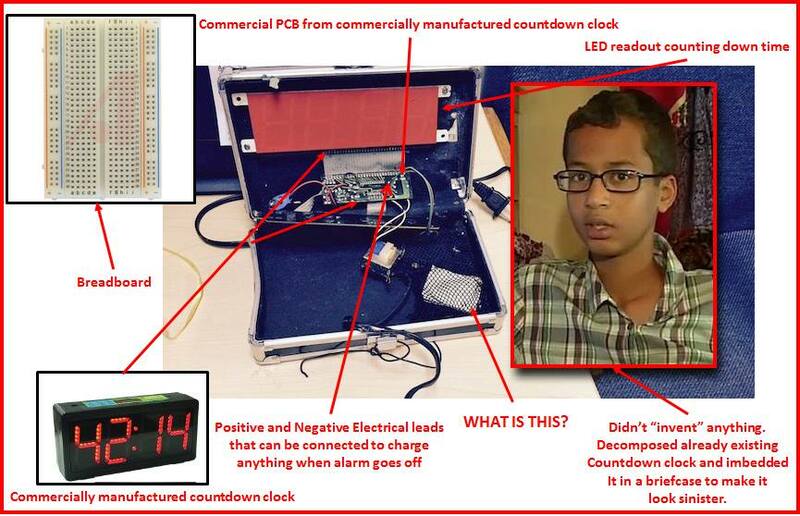 Even Ahmed himself thinks his clock looked “suspicious”. If something looks suspicious, can you really blame anyone for being concerned? If you yourself think your creation looks dodgy, do you have the right to get angry at others who are expressing doubts about it? Why should we bother with million-dollar PSA campaigns on staying alert and vigilant if they are not going to matter ultimately? Teachers are taught to err on the side of caution and keep a look out for any suspicious signs. Given their relatively lack of knowledge on explosives, along with Hollywood’s one-dimensional portrayal of ticking time bombs, surely a big red digital display with a bunch of loose wires and circuit boards in a metal case that couldn’t be anymore stereotypical is/are enough to trigger some alarm bells, especially after it had made beeping noises? How do you strike a balance between security vigilance and anti-Muslim discrimination? Given the context and seriousness of school violence, why is safety suddenly disregarded when religion comes into play? It’s easy to point fingers and label our civil servants and law enforcement as racists and bigots, but given the stakes and situation, what would you have done? I truly believe the outcome would eventually be the same, regardless of one’s religion, skin color, or physical characteristics. A dubious-looking contraption that warrants a closer degree of scrutiny if paraded in an airport, shopping mall or regular pavements, coupled with the persistent implementation of zero-tolerance policies, this undoubtedly, and unfortunately, had all the ingredients for a lose-lose situation. Just about standing up for what is right? Many media outlets seem content to perpetuate the narrative that the whole incident started solely because of Ahmed’s religion, and this hence laid the foundation for what was to be a barrage of #IStandWithAhmed tweets that convey the same message. While this is an exemplary showcase of the Internet’s power to draw attention to relevant issues and facilitate discussion, it also underlines the superficial reactions from the self-righteous masses. Almost everyone is high on moral superiority on the World Wide Web. Stories like Cecil The Lion and Justine Sacco reminds us of what the Internet shame machine aims to accomplish; villanise others in exchange for a self-esteem boost. People don’t just love things that they can bash on. They, too, love stories that present an opportunity for them to increase their self-worth, like with Ahmed. One can simply tweet out #IStandWithAhmed and ‘prove’ to the world that he or she is against things such as racial profiling, Islamophobia, and religious discrimination. Besides contributing to the ongoing debate of slacktivism, our actions denote, for too many of us, the need for social validation. Something I don’t quite get is this. 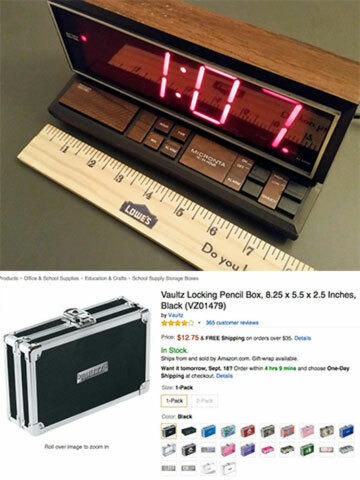 For those bringing their clocks to their schools or work places in support of Ahmed, why bring one that looks harmless immediately on the surface? Why not bring a clock that resembles his? One that’s made up of a red digital display nestled in a metal case consisting of wires and funky circuit boards. Wouldn’t that make a more effective stand? Of course, not every person who uses the hashtag are after a quick feel-good fix. However, too many people are now advocating for the sake of advocating, to cultivate the impression that they are cool, current, and updated. We are thinking with our hearts instead of our brains far too often – any fickle of logic is discarded. We are so eager to portray this ideal version of ourselves and conform to the public, that we are omitting factual, yet crucial, elements of a story from our thought process (if any) that challenges our preconceived notions. And then, there’s the issue of going against public opinion. Many are afraid to speak up and share their real thoughts in light of the massive public outcry. Terrified of saying the wrong word. Terrified of the reverberations for being the odd one out. Terrified of being chased after by an uncontrollable mob, headed by a group of people who refuses to accept perspectives that pose a threat to their own conjured version of events. Once a sizeable amount of people get behind a movement, society deems you a bigot by default if you disagree with it. The thirst for heroism is unquenchable by the looks of things, but it’s naive to think that the controversy will never subside. Another story will pop up soon, and the social justice warriors are off for their next mission. It’s usually easier to agree than to gather the courage and offer an opposite viewpoint, especially when the public is out sanctimoniously baying for dissenting blood. But amidst Ahmed’s stunning social media-led victory, one can’t help but wonder if emotions will always triumph over logic when similar situations inevitably arise in the future. Just what is it about, exactly? Observers are pointing out that Ahmed’s father, Elhassan Mohamed, is an anti-Islamophobic who had stood for President in his native Sudan twice, and had a colorful history of staging public stunts. While I wouldn’t go as far as to suggest anyone had played the victim card, or to insinuate that this was all part of an elaborate hoax, Ahmed’s case unquestionably highlights an alarming problem that is gripping our modern world with every incident that cries for online vindication. Knee-jerk judgments and truly hysterical reactions derived from click-bait headlines and mini-soundbites were omnipresent from the get-go. Our collective response seems to indicate that just because we have chimed in, because we have made a statement, because “I’m on the good side”, we automatically assume we are the experts. We profess our interest in the story, yet actual facts and subsequent developments are deemed unnecessary for consumption. We all chip in declaring our support for objectivity, yet harp continuously when a minute bit of perceived justice presents itself. We seemingly have this obligation to assign a victim and a bogeyman, and when it became apparent that there weren’t any, we created one – or in Ahmed’s case, a few. We are desperate to appear in the loop to tell the world that we advocate for justice and equality, even though justice and equality aren’t the main takeaways for most of such cases. Someone has to go down, someone has to take the blame. God forbids anyone to not be at fault. Nothing beside discrimination is the driver of this incident; anything else interferes with ‘advocacy’. While the rallying cries ring louder and people huddle around hashtags with deafening conviction, ‘likes’, retweets and other obscure forms of social currencies have concurrently become the measure of right and wrong. It does not matter if case studies ruled Islamophobia out as the chief culprit who triggered this whole chain of events. It does not matter that the overnight Silicon Valley darling will still get arrested if his last name wasn’t Mohamed. It does not matter that teachers with limited understanding chose to play it safe to ensure the safety of their students weren’t compromised. Just like in the elections, facts don’t matter. In this very instance, the only thing that matters, is which narrative appeals the most emotionally to people. By depicting Ahmed as a hero, they will feel like one as well. Ahmed has received a torrent of support from observers across the globe, along with plenty of swag, financial ‘aid’, and job offers. In this day and age, fame is no longer a choice. Should he not collapse from the attention or let fame get to his 14-year-old mind, his future is basically secured. As a human being, I honestly feel glad and ecstatic for him. At the same time, it is rather sad to note that plenty of ‘candidates’ are way more deserving of the merits and rewards showered upon Ahmed; teens who have been looked down on, teens who have worked hard to pay their dues, and teens who have actually invented something. Life is unfair, and the attention the young man is getting is a little unwarranted in my opinion, although it is in no part the fault of his. He was just a timely pawn caught and exploited in the middle of a huge media brouhaha. I’m not going to stand with Ahmed, because he is not the victim of racial profiling. I’m not going to stand with Ahmed, because his ‘invention’ deserves to be scrutinised. I’m not going to stand with Ahmed, because he was not discriminated against. Most importantly, I’m not going to stand with Ahmed, just because everyone is telling me too. The unnerving way individuals and organisations have reacted to this shitstorm speaks volumes about us, encapsulating our innate desire to do the ‘right’ thing and pander towards the common conception without bothering to comprehend the bigger picture. If you enjoyed this article, you might enjoy some of my other Unpopular Opinions, such as my latest one, No, You’re Not Beautiful. I thank you for this article. It is a well-founded analysis of the situation, and offers a new perspective on the big uproar over Ahmed Mohamed’s treatment. However, I would like to respectfully state that I will stand with Ahmed, even as I take in the new information about his lack of invention, and the information about other similar overreactions in American schools. In fact, perhaps I now will stand with those other victims too. My reasoning is this: if Ahmed Mohamed had made a bomb that could have harmed lives, he deserves to be arrested; had it detonated, all the more so. However, if he made something that looked like a bomb but was incapable of doing anything like a bomb, his arrest was uncalled for, because he had no intention (I believe) to cause a scare, let alone harm, in school. I doubt the normalcy of people getting arrested for scare pranks, in which one person intentionally scares another or others, but ultimately leads them to no harm. If people are not arrested for scare pranks, there is absolutely no reason why there should have been an arrest over a scare. The fact that there was an arrest for an (I believe) innocent mistake is reason enough for me to support him. His “invention” may have been a mere imitation, but, as you have said, it would have taken some know-how and some skill (though the necessary amount may not be impressive). Still, I think it is good that at his age, he has an idea of what he likes, and I hope he can learn a lot from his touring of NASA, Google, Obama, and more. I am very much comforted that you have expressed that you are also glad for him “as a human being”, though I accept that you feel his fame is not well-deserved. For me, it is simple enough: I stand with Ahmed, because he was a victim of ridiculous and unreasonable treatment by his school. And, human-to-human, there is no need to value-judge how much we ought to stand with Ahmed, because, you know, he was a semi-fraud, or he wasn’t racially discriminated against. All who are unreasonably treated deserve empathy. I stand with these people. I stand with Ahmed. Hi Blade! Thanks for your comment. Respectfully, I’ll have to disagree with your reasoning. For one, if someone brought along something that looked like a bomb, and you happen to see it while on the MRT platform for example, should the police not arrest the suspicious looking man? I mean after all, why spend so much money on campaigns telling people to be more discerning and vigilant? Should the police not arrest the man because he or she believes he doesn’t actually wanna scare people? This is the SAFETY of thousands of people, and millions who would feel the inevitable shockwaves of this incident, we’re talking about. So what, you’re going to take a chance and give the man with a suspicious looking item the benefit of the doubt? That’s not what the government’s PSAs have taught me to do. I very much doubt that it the clock would be mistaken as a bomb were it not for Ahmed’s ethnicity, and dividing his religion from his ethnicity is shortsighted. His teacher would know him, by name…. ‘Ahmed Mohamed’ is a pretty clear indication of religion. So i appreciate your sentiment in saying that the hysteria went too far, but to go the other way and condemn him as some sort of false idol or even villain in this is derisory and reductive. Good article though, always nice to read an interesting counterpoint. Hi kgoodchild! Thanks for your comments. Your first sentence is exactly what my first main point was addressing. Yes, his clock might have been looked at like a bomb because of his religion, but every single person – white, black, brown, Asian, Hispanic, Latino, boy, girl etc. – will be treated in the same way based on the evidence I put up! You can’t say that it’s solely down to his religion when other kids (white kids, the presumably privileged batch) are being treated the same way for similar incidents. While I did not explicitly state that he is a false idol, he has been proven to have LIED on multiple occassions, even going as far as to state that he souldered a CPU himself among other ludicrous comments he made. Anybody who is caught lying immediately loses his credibility, or at least a large part of it. He shouldn’t be treated like a hero as such. It’s not derisory or reductive, it’s being objective. I thank you for reading thru my article, and while I certainly appreciate the views and thoughts of others, I think you might have missed out a couple of points and thus misconstrued the messages I was trying to bring across. Hi Mikiren! Thanks so much for your kind words, I appreciate it :) I’m glad my content has impacted you in one way or another! People tends to like to make a huge deal about these things. It’s like you stated in the second half of the post what i was thinking since the start of reading your posts. The people with not much knowledge joined in the hashtags to ‘increase their self-worth’.